Our balloon floated above the river with the gentle assurance of a yawning hippo. Even the cables which bound our basket to the yearning red hulk of the balloon seemed relaxed in the teatime heat. The sun cast a four o’clock shadow on the world, it being four o’clock. The meadows on either side of the river were as unsure as the rest of us exactly which year—or era—they were inhabiting, so they’d settled for a pastoral English sunniness which never goes out of fashion outside of an ice age. Glimpses could be glimpsed of hunched backs moving among the waving grasses; peasants, presumably. Or water buffalo. Above this pleasant landscape, the three of us drifted nowherewards through the firmament like the stars of Orion’s belt, if the stars of Orion’s belt were in a hot-air balloon. One of us was in a corner of the basket, hunched over a book. The second, myself, was adjusting some ropes for the look of the thing, and half-listening to the third. The third was holding forth garrulously on the merits of the rum baba. 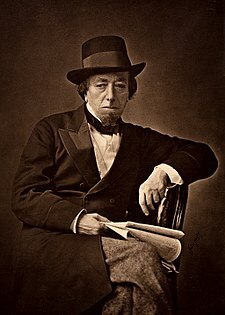 Benjamin Disraeli, for it was he, was approaching a crescendo in his soliloquy. The application or otherwise of clotted cream was the issue, and it was causing him great agitation. The ropes which I had been fiddling with broke free of my incompetent sheepshank as Benjamin stamped around the basket. The great man staggered violently without interrupting himself for a moment, and very nearly lurched over the side of the basket. Oh dear, thought I. He needs to calm down. A change of topic is in order. “To truly speak, one must listen—with one’s mouth,” offered the third of our party (previously named as the first, but numerals are fickle), my manservant Sir Launcelot the Brave. He was quite delighted at being offered a rare day off from making Benjamin flaky pastry morsels out of Cadbury Flakes and pastry, but less so at being forced to spend it in the insufferably waggish company of Benjamin and myself. As a result, he was slumped in the corner of the basket reading a paperback book of cod-Eastern cod-philosophy (entitled Finding Cod), and was remaining stubbornly silent except to emit an occasional zen-lite aphorism. Benjamin and myself ignored him completely. “Tiramisu,” replied Benjamin Disraeli. Ah. I nodded my understanding, and for a few minutes all was contented silence, broken only by Sir Launcelot’s snuffly laughter on turning to a chapter named What If Cod Was One Of Us? We drifted over a brightly-painted wooden bridge festooned with gnomes. “You see, I’ve been thinking a little about this, between the lines and below the skies. And I’ve been forced to conclude that it’s a little bit of a funny topic. Every year since 2006, I reckon, has been an expansion in my life. Bigger in scope than the one before, building on everything that has accumulated before it. “And, heavens!, how 2010 fitted this trend. Jamaica! Australia! Working in journalism! Finally getting off my stagnant buttocks and penning a novel! It’s been an expansion like no other! Which leaves 2011 in a bit of a sticky spot. How, given that it is a year which will revolve around the mid-July hub of a return to where I was before, is it expected to keep the train rolling? The simple answer is, I just don’t think it will. “…Do you see what I’m saying? It’s going to be a year, as far as I can tell, of…consolidation. A mighty drawing-together of this too, too solid flesh for a big push in years to come. A year of forcing the openings which I have created to open wider. To write more, and write better. To edit and sweat and painfully improve my novel, and to start at least one more. To wring everything, everything I can from this incredible year in the Antipodes, and return home in one piece. And to slip back into Edinburgh and make sure I haven’t lost anything there. To re-meet friends, remake acquaintances, and relearn the cobbles underfoot. To take these three years of literature essays, and use that experience to bolster my final-year dissertation. “It’s going to be a year, I think—and I could be wrong, oh, how I could be wrong—where seeds are not planted, nor yet fruit harvested, but instead the trees are tended, and guided into shapes—hopefully the right shapes, but shapes for certain—which will help to craft what they become. I paused, rhetoric exhausted. Benjamin looked at me with a heavy gaze. He thumbed tobacco idly into a long-stemmed pipe, but you could tell he was thinking hard. His brows cast dark clouds across the sunsets in his eyes as he cogitated. Finally, his silence consummated, he raised his pipe in an emphatic gesture, and opened his mouth. I leaned forward eagerly, half-embarrassed at my eloquence, nervous for his approval. A red balloon floated meanwhile into a year begun. Circumstances are beyond human control, but our conduct is in our own power...What!? Rum babas!? TO THE CREAM TROLLEY! Know what you’re going to do? Ah, what [i]deliciously[/i] famous last words they sound.